Rudy Giuliani released a statement Friday intended to clarify his earlier remarks that President Trump repaid his personal attorney, Michael Cohen, for a $130,000 payment to adult-film actress Stormy Daniels. But the new statement from Giuliani, who recently joined the president's legal team and shocked Washington with his comments to Sean Hannity on Wednesday, did little to offer clarity to the situation. Giuliani repeated that there was no campaign finance violation from the payment, though in an interview with "Fox & Friends" on Thursday he had acknowledged Cohen made the payment because Daniels was alleging a 2006 affair with Trump in the heat of 2016 presidential race. "First: There is no campaign violation. The payment was made to resolve a personal and false allegation in order to protect the President's family. It would have been done in any event, whether he was a candidate or not," Giuliani said in the statement, obtained by ABC News. Giuliani's remarks to Hannity also raised headlines because it had previously not been disclosed that Trump had repaid Cohen. Cohen, who is the subject of a federal criminal investigation, had even said he took out a home equity loan to pay Daniels on his own accord. Giuliani said his remarks reflected his understanding of what happened, not his understanding of what Trump knew about the payment. "Second: My references to timing were not describing my understanding of the President's knowledge, but instead, my understanding of these matters," he said in the statement. 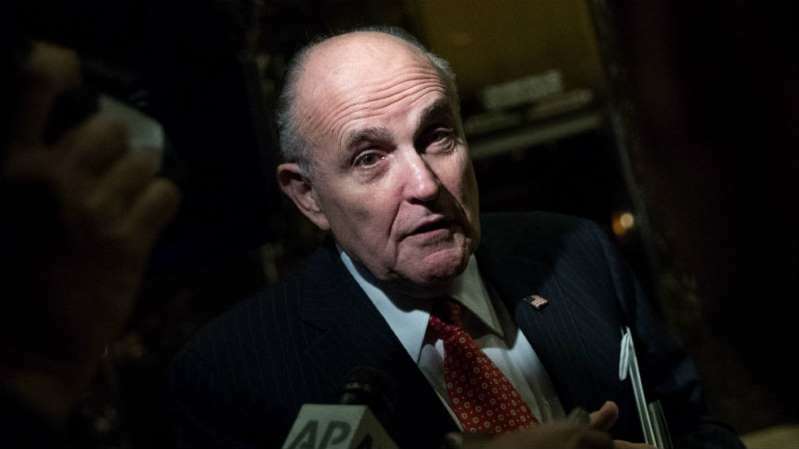 Giuliani had also caused controversy by stating that Trump fired former FBI Director James Comey because Comey would not rule out that he was a target in the Russia investigation. His new statement simply said it was within Trump's presidential authority to fire Comey, something that is not in dispute. "Third: It is undisputed that the President's dismissal of former Director Comey - an inferior executive officer - was clearly within his Article II power," Giuliani said. "Recent revelations about former Director Comey further confirm the wisdom of the President's decision, which was plainly in the best interests of our nation." The statement came as the White House continued to face questions about Trump's reimbursement of the $130,000 payment to Cohen, and when he became aware of the transaction. Trump told reporters last month that he was unaware of the payment to Daniels. When asked if he knew where Cohen got the money to pay the adult-film star, Trump replied bluntly: "No, I don't know." But after Giuliani said that Trump had paid Cohen back, Trump confirmed in a tweet that he had reimbursed his lawyer through a monthly retainer and insisted that the payment was necessary to ward off Daniels's "false and extortionist accusations." He also insisted that such nondisclosure agreements were "very common among celebrities and people of wealth." Daniels, whose legal name is Stephanie Clifford, alleges that she had a brief affair with Trump in 2006, just months after Melania Trump gave birth to their son. Daniels is suing to void a nondisclosure agreement that bars her from speaking publicly about the alleged relationship. President Trump and the White House have denied that he ever had an affair with Daniels. Speaking to reporters on Friday, Trump vouched for Giuliani, who was recently hired to the legal team assisting the president with the investigation into Russian election meddling, saying that he "wasn't totally familiar with everything."